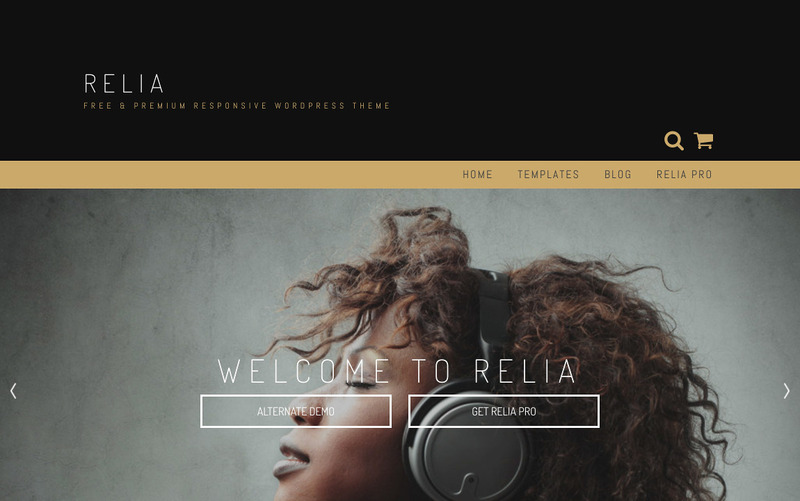 Relia is an elegant ecommerce-ready theme, that is easy to set up for users of all levels. Relia features a full width hero image homepage, with animated callouts, over 600 icons to choose from, and awesome typography. Style Relia’s homepage to completely personalize it. Relia Pro features unlimited skin color options, and two custom header areas on the homepage, above and below the primary navigation. These areas can be individually configured to feature an image or a single color. Relia is appropriate for creative business, small business, restaurants, weddings, sport and medical stores, startups, bands, musicians, corporations, online agencies, ecommerce, freelancers and more.